This is so insanely easy guys! First off, if you don’t have a bar cart readily available hit your nearest Target STAT and get yourself one of the amazingly fun and functional serving carts. I originally got mine as a gift along with his Nespresso machine last year – they hang out in his office and every now and then I steal for my own needs. While you’re at Target snag yourself some of these fun little bowls. Not only are they perfect for serving all your salsa toppings but perfect for your salt and pepper bowls or even mini ice cream sundaes (you know, if you’re watching your girlish figure). 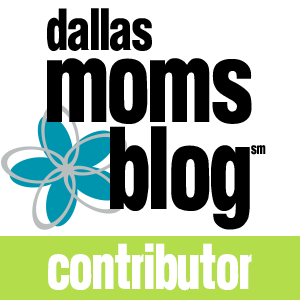 I chose to load mine with lime wedges, fresh pico de gallo from Sprouts and crumbled Cotija cheese – an authentic Mexican cheese – yum! If you follow me regularly you know I load all of my tables with fresh flowers. Given that this bar cart had limited space, flowers weren’t an option. 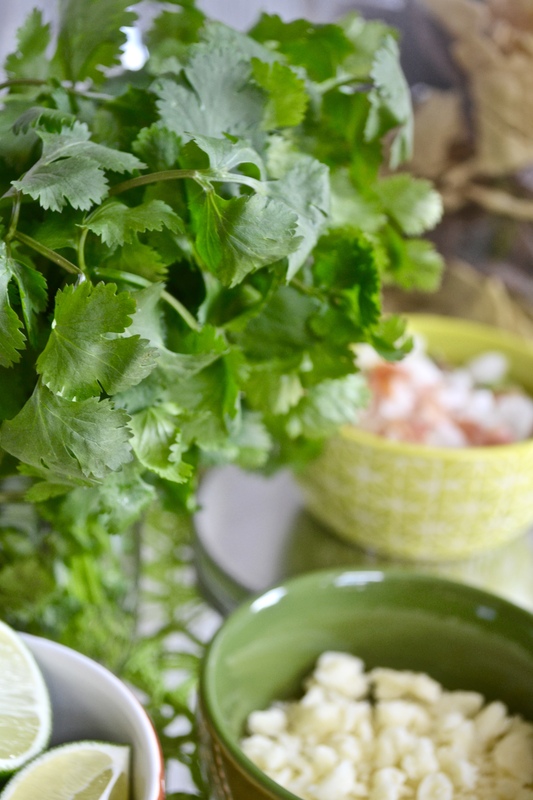 However, fresh herbs are the perfect addition to any buffet style table/cart. I picked up some fresh cilantro (again from Sprouts – they have the most beautifully fresh herb selection!) and plopped the bunch into a small mason jar. This adds the perfect leafy texture that I crave and another functional topping for your guests. 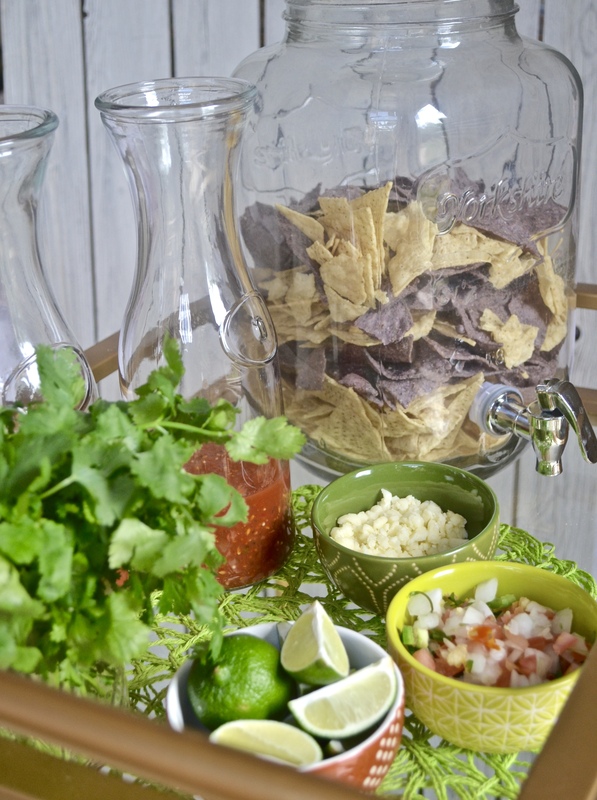 And what chips and salsa cart would be complete without chips and salsa? Sticking with the bar cart theme I used my trusty drink jug dispenser and layered it with colorful chips. Whaddaya know, the perfect chip bowl. 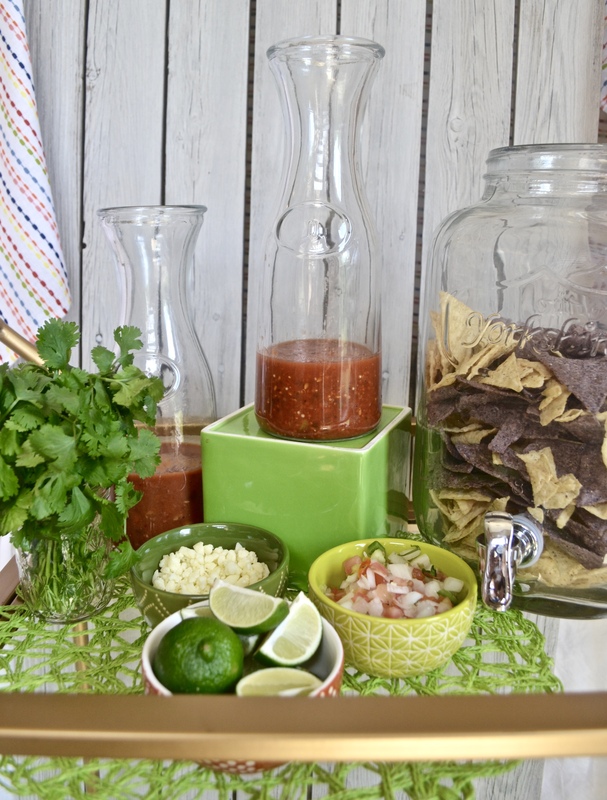 And for the final touch, I selected two fun Sprouts salsas and poured them into these tall glass decanters from, you guessed it, Target. I generally use these tall decanters for my drink mixers or pre-mixed cocktails – I love this alternative! And it’s easy as that y’all – you’re set to party in style. And to kick off Cinco de Mayo, I’ve teamed up with nine other talented party creators who share my love for styling with Target to start a fun hashtag #StyleWithTarget! 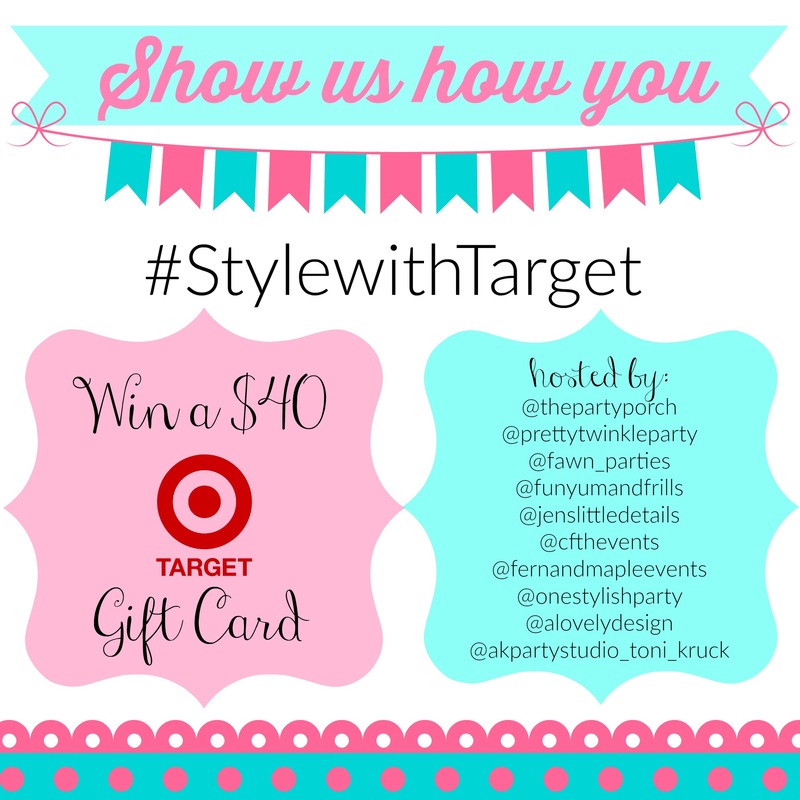 Each week for five weeks we will be giving away $40 to Target! Head on over to my Instagram @funyumandfrills to see what it’s all about. 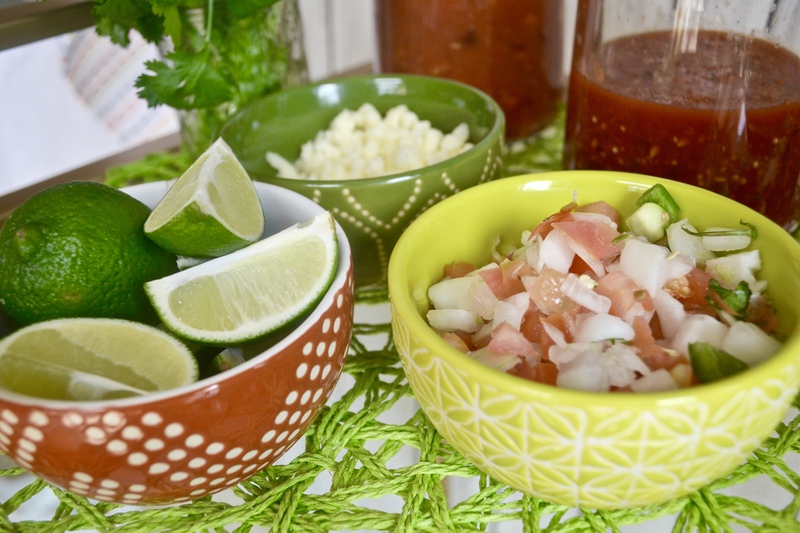 Everything from the cilantro, to the chips and salsa look delicious! I love it all!!! My kind of celebration!